Do Mayweather and Pacquiao Respect Boxing Fans? It’s funny how things work out sometimes. When Juan Manuel Marquez knocked Manny Pacquiao out with the punch of the century, most people thought it represented the final nail in the coffin for a Mayweather-Pacquiao clash. That perfectly timed right hand not only put an end to Pacquiao’s recent aura of invincibility, but also seemingly sealed the fate of what could have been the biggest fight in boxing history. Demand for Mayweather-Pacquiao had reached an all-time high in 2009-2010. But by the end 2012, however, all hope seemed lost compliments of Pacquiao’s Mexican nemesis. Rejuvenated interest for a Mayweather-Pacquiao bout surfaced following Mayweather’s dominant win over Canelo Alvarez. Canelo was supposed to represent a true test for Floyd, mainly because he was younger, stronger, naturally bigger, and in his prime. But Mayweather rose to the occasion and made easy work of Alvarez. One of the main reasons Floyd was able to make things look so easy with Alvarez was because of his tremendous advantage in speed, especially hand speed. Mayweather’s showcase of speed supremacy naturally led fans back to thinking about a possible showdown with Pacquiao. And why not? 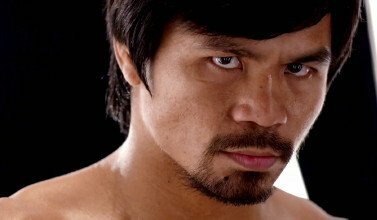 If Pacquiao is nothing else, he is extremely fast. Perhaps not as fast as Floyd, but fast enough that it’s not difficult to envision him being more competitive with Mayweather than Canelo had been, simply because of his comparable quickness. Even though Pacquiao had done nothing since being knocked out cold, a dominant Mayweather victory over a perceived threat was all it took to rekindle mass intrigue for Mayweather-Pacquiao. After Pacquiao subsequently battered Brandon Rios in a lopsided comeback fight, the demand has since resumed growing at a frantic pace. Fan interest may never again reach the same feverish pitch it achieved during its 2009-2010 apex, but it nonetheless has returned as a heated topic of debate among boxing fans. Mayweather-Pacquiao is still undoubtedly the one fight in boxing that fans want to see more than any other. That’s 4 long years that fans have yearned to see the 2 biggest stars in boxing face off. But will the fight ever happen? And do Pacquiao and Mayweather even care about giving fans the fight they so desperately (and deservedly) want to see? Some people think that the fight is more likely to happen now, mainly because the clock is ticking and neither Mayweather nor Pacquiao has any options left that will generate more money and interest than a bout against each other. Then there are those with a dissenting view point who believe that the fight is actually less likely to happen now, mainly because of the presence of additional roadblocks which can be added to a long list of preexisting obstacles that have already prevented the fight from coming together previously. For whatever reason Mayweather and Pacquiao don’t seem eager to fight, which is a shame. Let’s face it. Mayweather and Pacquiao are both doing pretty well for themselves, and they have already made a great fortune from boxing. In recent years both men consistently made far more money for a single fight than their average fan will come close to seeing in an entire lifetime. And it is the fans, after all, who allowed Floyd and Manny to celebrate their international celebrity status and all of the many perks that come along with that. You would think maybe, just maybe, these two men would both make a genuine effort to give the fans what they dearly want before it’s too late, because the clock is ticking and there isn’t much time left for this fight to take place where it would still command significant relevance. You would even think they would feel obligated to make the fight, that they owe something special to the fans. But they don’t seem to respect the fans at all, at least not beyond exploiting them for the vast riches they provide. If these two continue dragging this out and refuse to fight when the demand is still incredibly high, they may live to regret the decision. Everyone loses if this fight doesn’t happen: Pacquiao loses, Mayweather loses, the boxing industry loses, fellow boxers lose, and most importantly, boxing fans lose the most. These are the very same fans who enabled Mayweather and Pacquiao to succeed and live a life of privilege and luxury. Unfortunately Mayweather and Pacquiao seem more concerned with their own selfish greed than appeasing those who made their current elitist position in life possible. They apparently care very little for their fans or giving them what they truly want, and this will likely have a negative impact on both legacies when all is said and done if they continue shamefully avoiding each other. As long as Mayweather and Pacquiao sustain with making inexcusable excuses, they disgrace themselves and their sport. Fight already. You are here: Home / Boxing News / Do Mayweather and Pacquiao Respect Boxing Fans?